Or, as it was called in Japan, Zelda Baton Of Wind! Buyers located inside the United States CLICK ABOVE to order! Buyers located OUTSIDE the United States CLICK ABOVE to order! This combination play set includes a full size working instrument, a 6 inch long ALTO Ocarina in the Key of C (color RED plastic). 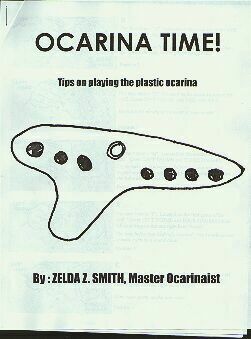 Also a 3 page pamphlet by Zelda Smith called Tips on Playing the Plastic Ocarina. Play all your favorite songs, just like Link! 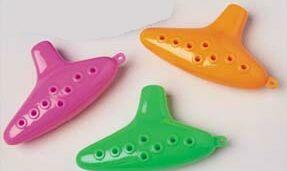 Easy instructional method for the Alto C Plastic Ocarina. A REAL conductor's Baton, so like Link, you can lead the music! Control the wind music with your own real Baton! 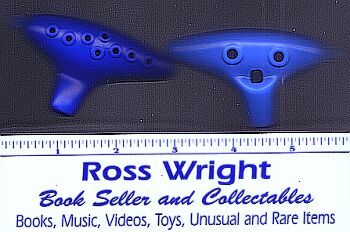 You also get a complete set of the 4 mini Ocarina Replica Instruments! A Blue, A Pink, an Orange, and a Green. This playset isn't available anywhere else, we've put it together specially for our loyal Zelda Fans! It's a Retail Value of over 30.00, But we've got it for 25.99, United States Domestic Shipping IS Included. 25.99! Click Here To view more about ROSS! It's all ABOUT ME! The Nintendo Power series of toys continues with this Zelda figure, marking the classic title Ocarina of Time, and comes complete with his sword and shield. Features: Size of the figure: approx. 11 cm / 4.3 inches From the famous N64 Zelda title, Ocarina of Time Flexible articulations for pose changes Copyright Nintendo Box Content: Zelda figure Sword and Shield Base with ""The Legend of Zelda: Ocarina of Time"" sign. Legend of Zelda fans will want to use these game secrets to master Zelda64. This sequel will take Zelda fans into an all-new 3-D environment that will capture their attention and provide hours of exciting gameplay.. The original NES release of Legend of Zelda, the game that started it all, returns in all its 8-bit glory on the Game Boy Advance! A classic NES title that is now a perfect handheld game, invites you to step through GBA's little screen and into a world of epic scope and imagination. Journey as Link, a green elfin hero in search of his Princess Zelda. His quest for the Triforce will take him through many mystical lands, dungeons and castles. At the end of his travels waits the evil Ganon. Play the legend. Become a legend. Rediscover the Legend of Zelda. Click Here To view my COMPLETE INVENTORY LISTS!